New York Gov. 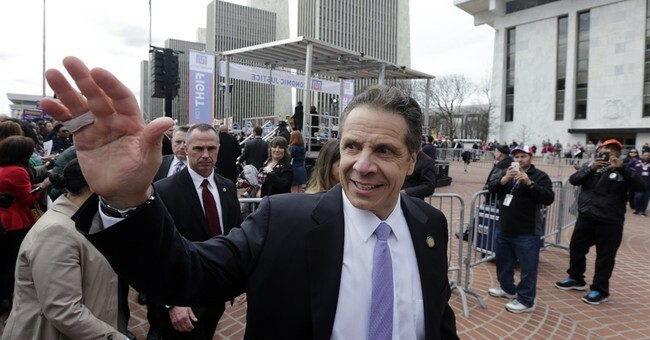 Andrew Cuomo condemned the pro-Palestine Boycott, Divestment, and Sanctions movement Sunday, drawing the ire of his fellow Democrats. The criticism highlighted a growing rift in the Democratic Party on the subject of Israel. Cuomo passed an executive order that mandates all state government agencies take away funding from companies that support the BDS movement. Palestinian activist groups created BDS in 2005 to protest the state of Israel. It encourages the boycott of all Israeli businesses and products. In addition to divesting current funding from BDS-supporting companies, Cuomo’s order will also prohibit the government from investing in such businesses in the future. The state will also create a list of all BDS businesses and post it online, according to the Wall Street Journal. “The office will notify the businesses before adding them to the list and give them 90 days to show proof they aren’t supporting the boycott,” the Wall Street Journal reported. Cuomo issued the order before attending the Celebrate Israel parade in New York City with Mayor Bill de Blasio. But it didn’t take long for other Democrats to lash out at the executive order. "Cuomo's action has the ugliest attributes of McCarthyism: identifying organizations that engage in speech we dislike and, 'Let's blacklist them,'" Azmy told AP. "This is a well-orchestrated, well-funded, organized strategy to disproportionately punish U.S.-based activists. Really ugly."